ALTUS, OK (KSWO) - The Altus Municipal Authority's Board of Trustees voted last week to award a contract to JBs Removal and Cleanup Service. Bulk trash service began again last Friday, August 19. 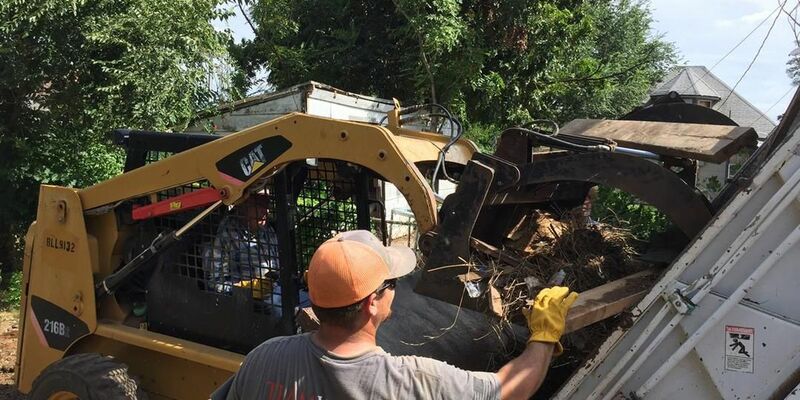 The contractor will remove debris from the alleys city-wide every 60 days beginning in the south part of the city and will be working their way to the north. Items that may be placed in the alley for pick up include tree limbs, furniture, appliances, and bathroom fixtures. Items such as old wooden chairs or wooden furniture may be broken into smaller pieces and then placed in the dumpster. Tree limbs may be cut into 3-foot lengths and placed in the dumpster. Bulk trash must be placed on your side of the alley along your property line only; when placing items in the alley, please stack as neatly as possible, parallel to your fence or property line so as to not obstruct the alley. Placing your trash on someone else’s property is illegal. Please do not place bulk trash within two feet of dumpsters. Blocking access to dumpsters or leaning debris against or behind dumpsters may result in the dumpster not being emptied. Limbs or debris should be at least two feet away from gas meters, electric meters, cable boxes, or other utilities. Meters hidden by trash or limbs can be damaged by removal of trash or tree limbs. Please remember that the alley trash service is not an on-call service. Items permissible for bulk service pick-up placed in the alley could sit there for up to 60 days before it is collected. If you need immediate removal, take it to the landfill in your personal vehicle. Remember all Altus residents may take up to 1,500 lbs. of waste a month to the city landfill for free with a utility bill and personal identification. There will be a fee for tires and any waste over 1,500 pounds.